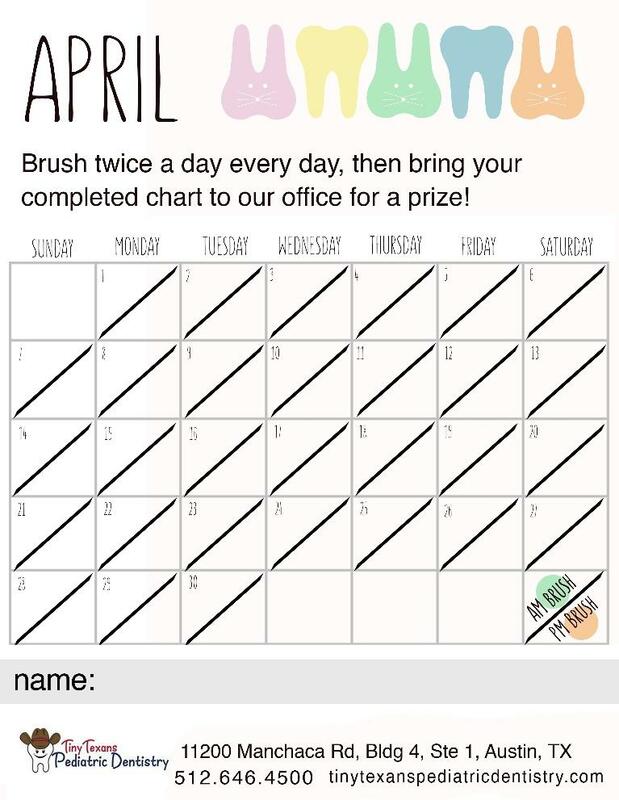 Download April's tooth brushing chart to make sure your family's teeth are being spring cleaned twice a day. 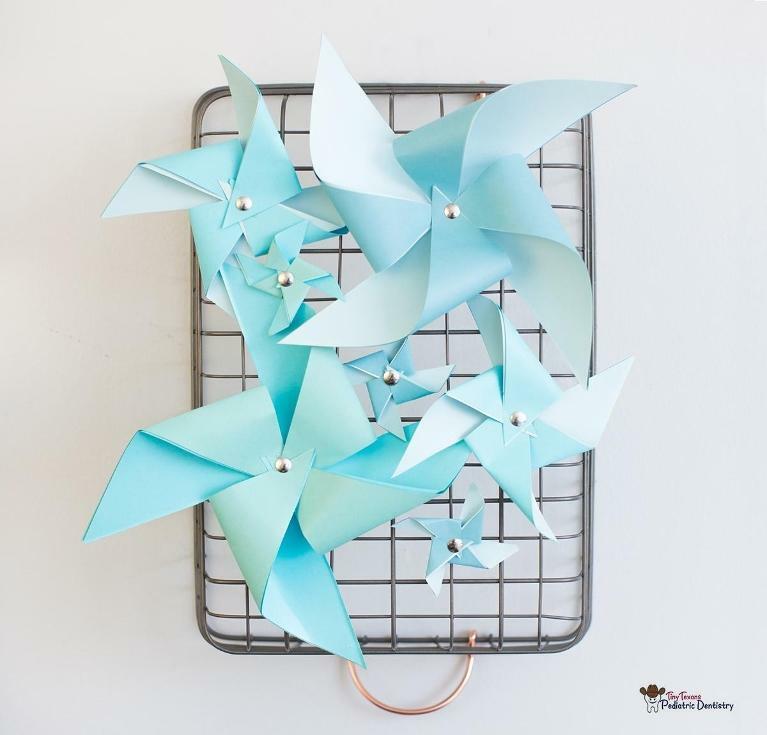 To save and download April calendar, click here! 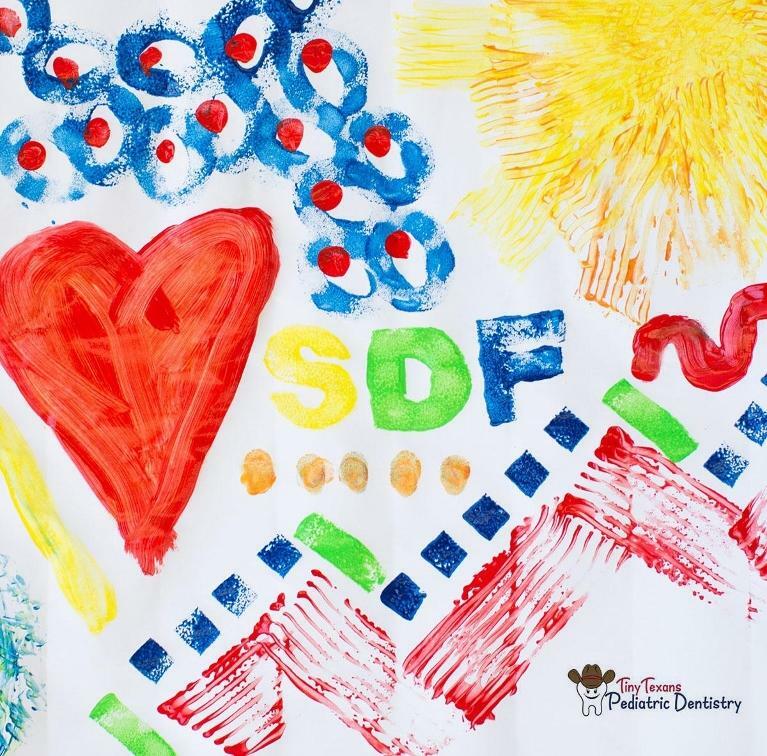 Silver diamine fluoride (SDF) is a minimally invasive way to treat cavities and is easily the biggest innovation for pediatric dentistry in the US in decades. It’s been used in other countries in Europe, Japan, Australia, etc., for a long time. The FDA approved it for use in 2014, and it became commercially available in 2015. SDF is a new treatment to option for the medical management of cavities. 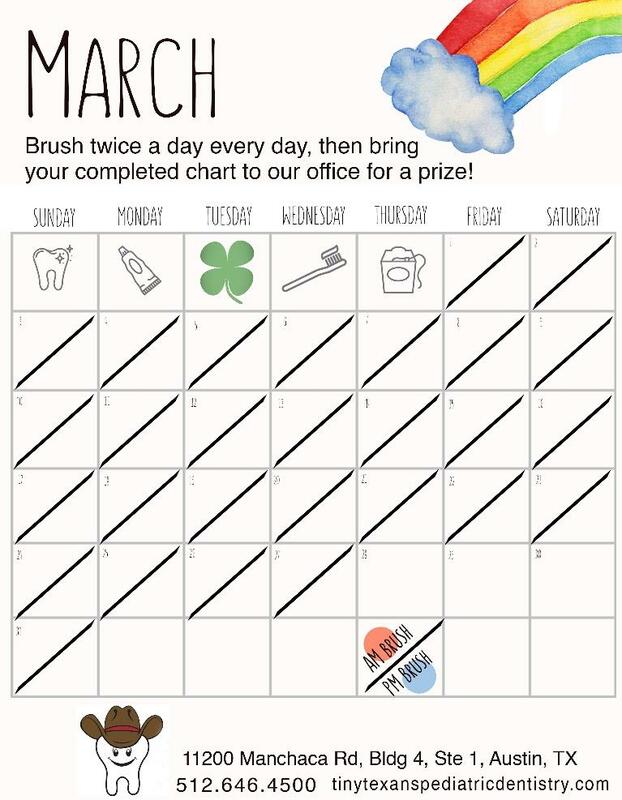 Download our March tooth brushing chart to keep your little leprechauns smiles bright. To save and download the March calendar, click here! February is Children’s Dental Health Month! Because we want the kids of Austin, Buda, and Kyle to have the brightest, happiest smiles ever, we thought we’d go over the four important aspects of pediatric dental care. 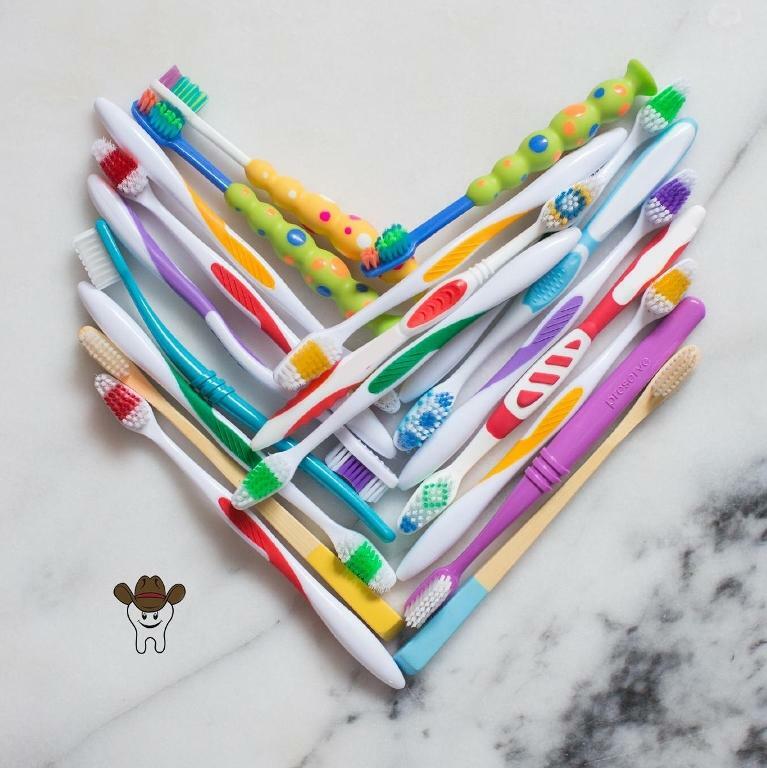 February is Pediatric Dental Health Month! Make sure you and your kids are brushing twice a day. 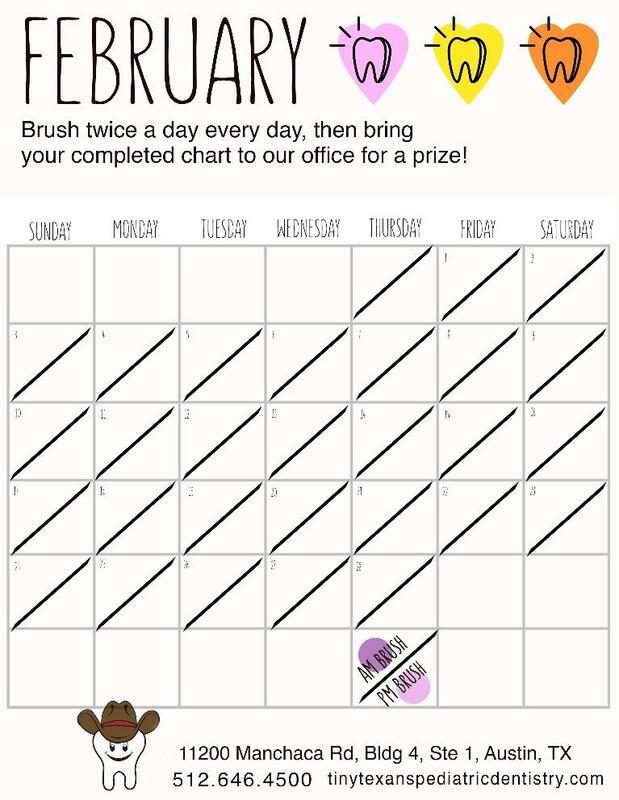 Download our chart to help you remember! We want this year to be the best dental health year that your family has ever had! 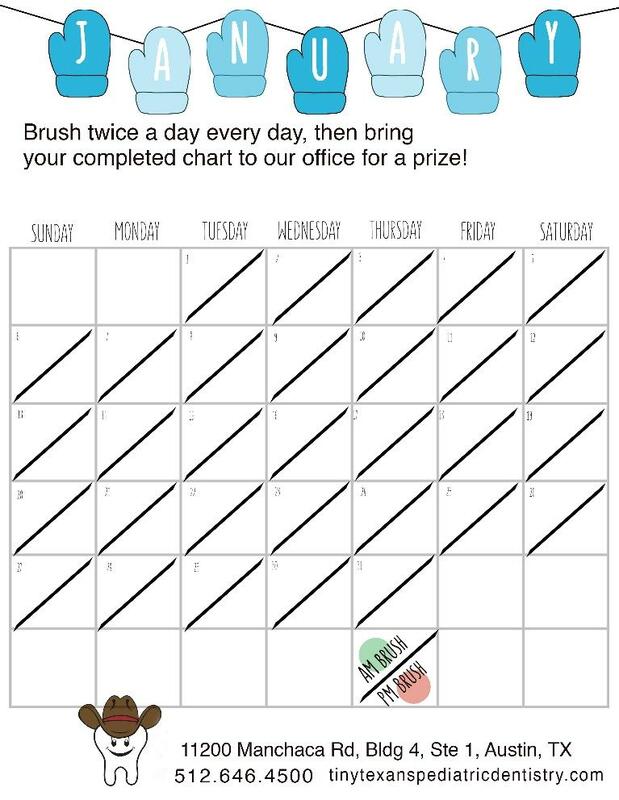 To help, we’ve made this sticker chart to encourage your kiddos to brush twice a day. Click the link below to download it, then print it and have your kids hang it on their bathroom mirror. Once it’s complete (no skipping brushes! ), bring it into our office for a special prize.